Founded in 1971, The Sterling Shop, Inc. has been a family owned and operated business for over 45 years. The company began as a mail order and pattern matching service and later started exhibiting at antique shows throughout the Pacific Northwest. The Sterling Shop expanded its customer reach in 1995 with the debut of its website. The initial website showcased some of the more popular patterns and hollowware pieces and provided visitors with helpful information about silver. It also connected customers from across the United States and abroad to The Sterling Shop's extensive inventory. Realizing the growing importance of the internet and taking into account online shopping trends, The Sterling Shop launched a full e-commerce website in 2005, showcasing all of the company's 10,000-plus item inventory. Though small in numbers, The Sterling Shop is big on customer satisfaction! We are very particular about the condition of the silver we sell and that is why we fully stand behind our 100% Satisfaction Guarantee. If you have questions about the correct size, style or pattern, please contact us - it is always our goal to ensure that the silver you purchase from us will complement your current set. 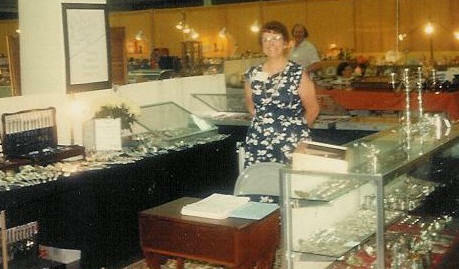 The late Juanita Mallorie, founder of The Sterling Shop, exhibiting at an antique show during the company's early years. 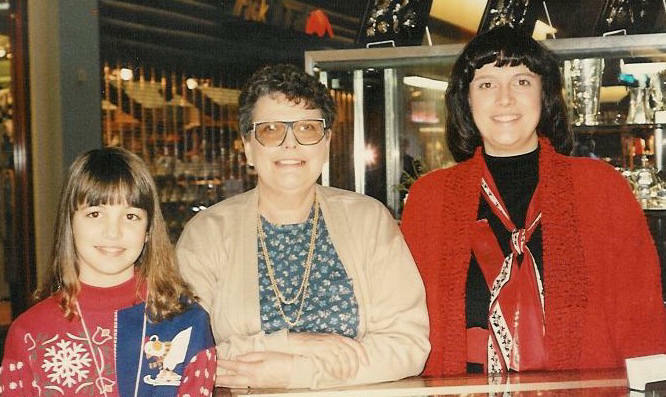 Three generations of The Sterling Shop (from left): Andee Rose, Juanita Mallorie and Mary Harland, circa 1990. 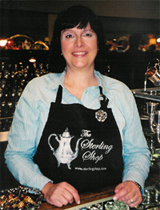 The Sterling Shop's owner and operator Mary Harland. 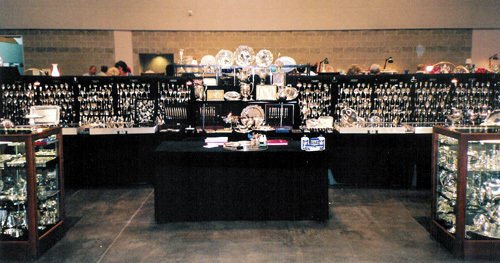 The Sterling Shop's booth display at the Rain of Glass Show in 2005.